Update: Giveaway has ended and the three winners have been directly notified. The team is happy to announce our first giveaway of three gaming mice! Now you can win one in case you haven’t got one yet or want another one. 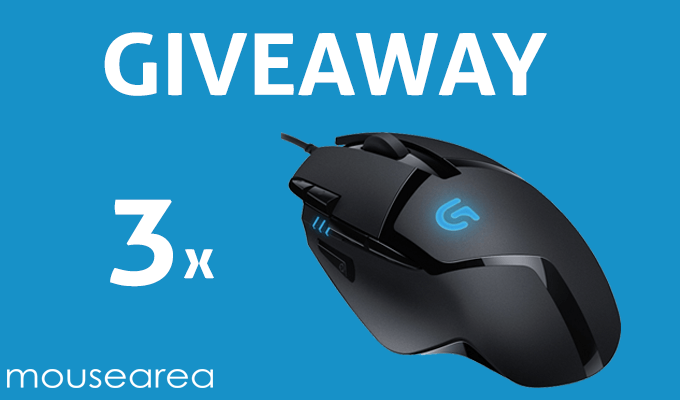 We will be giving away 3x Logitech G402‘s to three different winners. Read also the Logitech G402 Hyperion FPS Gaming Mouse Review. The winners will be selected randomly at Marts 11th, 2016. **Make sure that you are able to have the product shipped to you from Amazon because that’s where we will gift it to you from. There are several ways you can enter the giveaway and each one you do, gives you a greater chance of winning (up to a maximum 4x entries per person if all the actions below are completed). Feel free to tell your friends to participate too, so you can all get a better mouse for gaming.